PRB (Parks and Rec Business) is edited for persons and departments engaged in running or operating public parks and recreation departments on the local, state and federal levels. As the flagship publication for the Society of Naval Architects and Marine Engineers (SNAME), (mt) Marine Technology is full of cutting edge technical articles on topics of interest across all marine disciplines. Included are vessel reports, in-depth features, historical notes, public policy briefings, profiles of SNAME founders and leaders, abstracts of highlighted technical papers, and reviews of maritime books and media. Our phone and fax numbers have remained the same. Please make note of the change. 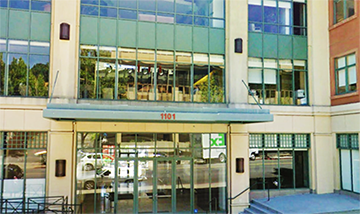 If you have any questions, please contact Verified at 415-461-6006. By 2060, Hispanics are projected to comprise more than 28% of the U.S. population. 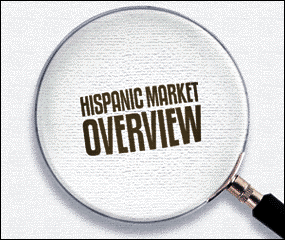 In 2017, U.S. Hispanic purchasing power could reach $1.7 trillion. What sounds like a marketer's nirvana may instead be a figurative dead end, absent a clear understanding of this highly complex and diverse demographic. To successfully reach these segmented consumers, it's important to recognize the nuanced differences within the Hispanic community. While many multicultural agencies use data insights for segmentation and to improve customer experiences, broad-based consumer segmentation doesn't typically uncover the motivators that drive ethnic purchase behaviors. To ensure the diversity within this large market isn't lost in translation, here's a look at the five Hispanic subsegments that may be missing from your marketing toolkit. Averaging just under 38 years old, this group is 33% male and 67% single, while nearly 64% own a home. Making important plans for the coming year, many intend to get married, buy a hybrid vehicle and add a security system to their home. They research online before they buy, heeding reviews written by their peers. Downtime finds them listening to music, catching a game with friends or watching television – from MSNBC to Cartoon Network and the Crime & Investigation Network, all via hardwired cable. Not surprisingly, they prefer quick-serve restaurants like Starbucks, Chipotle or Popeyes for a bite on-the-go. Directing disposable income toward travel and personal purchases, this group averages nearly 43 years of age, is predominantly female and 65% are single. Many make four domestic air trips annually, choosing Delta as their carrier. Travel reservations are made online, as are many of their purchases – from games to home furnishings and flowers to electronics. Tablets are the device of choice for web surfing, while smartphones are used for social networking, music and apartment hunting. Though they drive a foreign subcompact, truck or SUV now, they plan to purchase an energy-efficient car this year – perhaps to transport them to the continuing education classes they're taking. Slightly older at just over 50, this cluster has made wise investments, earns a good income and is preparing for the future. Nearly all are homeowners, often carrying mortgages, which may have been recently refinanced. Online investing, financial planners and stockbrokers help manage their finances. With few hobbies and activities, these hard workers relax by tuning into ESPNU and Fox Business News. The MLB, NFL and Stanley Cup are top picks for many. Costco and Sam's Club are destinations for most household needs. While they don't overindulge regularly, these consumers have above-average incomes and treat themselves with foreign luxury vehicles, infrequent trips to Hawaii, upscale hotels and coffee houses. They average 46 years old and 72% own homes, which are freshly decorated with online and offline purchases from Pottery Barn and Cost Plus World Market. They buy clothes at Nordstrom, Macy's or Bloomingdales at least once per month, enjoy R&B or hip-hop concerts, and frequently attend professional basketball or football games with family and friends. More than three times as likely as the average Hispanic to be small-business owners, these ambitious consumers are predominantly female and married, with more than two generations in the household. They have made the most of their high school education, have upper-middle incomes and solid net worth. Many carry a mortgage and auto loan – even a student loan to pursue adult continuing education. They favor wholesale clubs like Sam's, Costco or BJ's. Downtime is spent pursuing photography or boating, with Fox Business News or CMT the ideal choices for entertainment. As more brands embrace the nuances of the U.S. Hispanic market, it's important to consider attributes such as assimilation, country of origin, generations in the household and consumer demographics when developing marketing strategies. 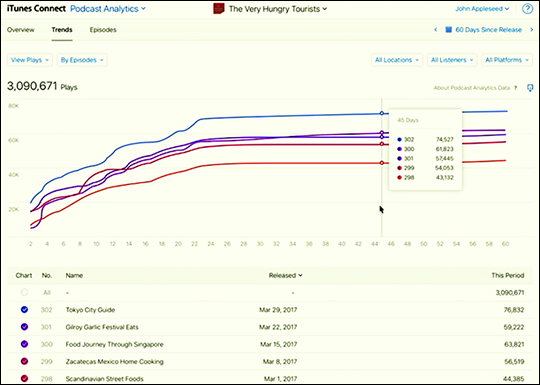 For most brands and agencies, there is value in working with a data partner for detailed insights, segmentation and analytics to maximize effectiveness of their marketing. By discovering the commonalities and distinctions among Hispanic consumers, exploring their rich personalities, and discovering more about their attitudes, behaviors and motivations, today's savvy marketers can identify business opportunities and optimize campaign performance.